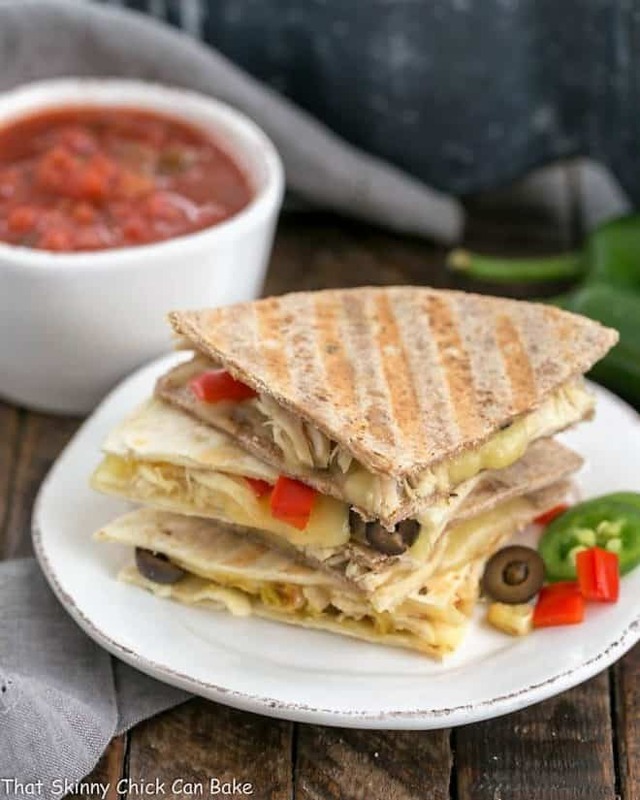 These Cheesy Chipotle Chicken Quesadillas are the epitome of comfort food! 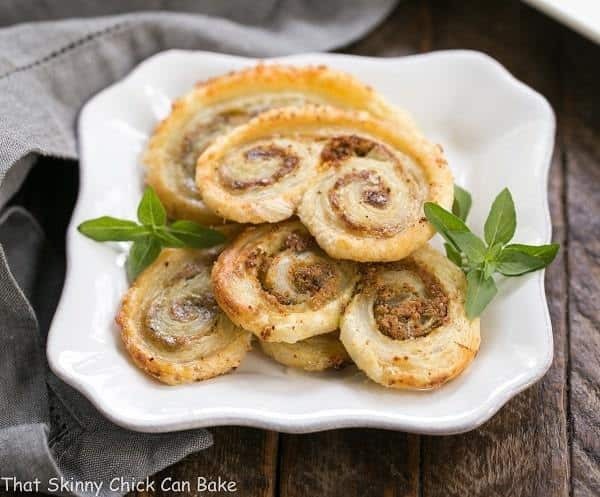 Full of gooey cheese, a bit of spice and tender chicken, they’re a fantastic snack or meal! 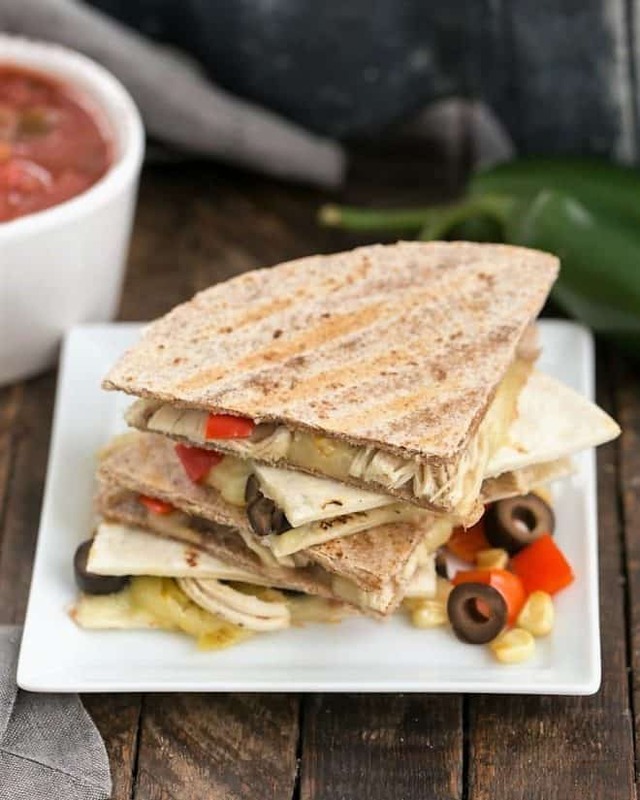 Using leftover chicken, these cheesy chipotle chicken quesadillas can be whipped up in minutes! I don’t know why quesadillas are off my meal rotation radar. Gobbled up by the family, and I don’t even break a sweat in the kitchen! Super easy, highly adaptable to what’s in your refrigerator, and always a hit. Who doesn’t love biting into gooey cheese??? We’re also loving this Brie BLT for an easy delicious twist on the classic sandwich! There are no rules here. I used Monterey jack cheese, but cheddar would be just as delicious! Leftover chicken from the night before can be shredded or you can roast a couple chicken breasts in the morning, then shred them at dinner time. Rotisserie chicken is one of the easiest options. 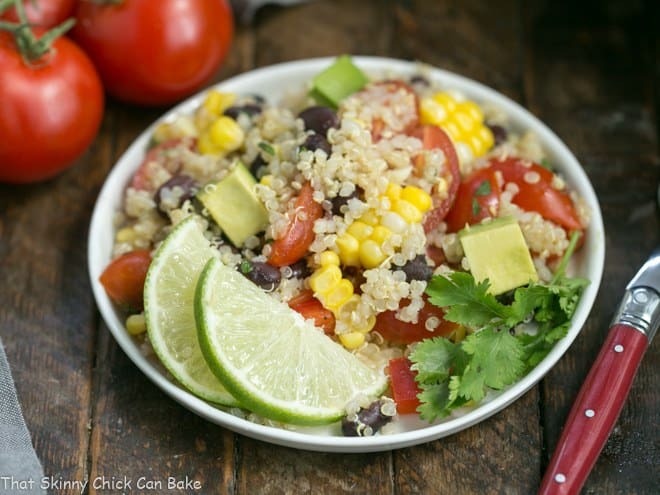 In the summer, grill and extra ear of corn for a nice smoky addition to the veggie mix. If you don’t want to buy a can of chipotles in adobo sauce for just the one or two called for in this recipe, substitute fresh or even pickled jalapenos. Don’t want heat? A sprinkle of cumin and/or chili powder will provide some Tex-Mex flavors without being overly spicy! 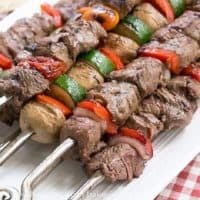 Making these on a grill pan or panini makergives fun grill marks, but these are just as delicious cooked on an old fashioned skillet. 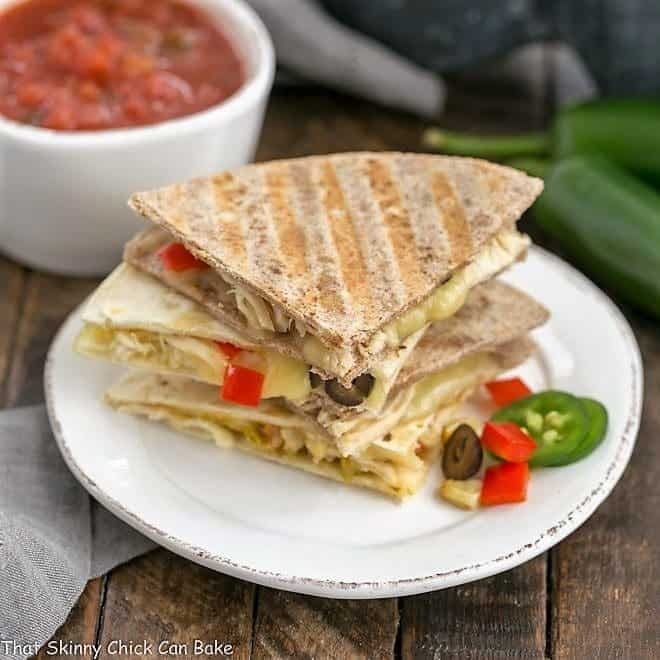 So the main message is that quesadillas, especially cheesy chipotle chicken quesadillas, make a super easy, adaptable weeknight meal! Today, I’m sharing cheesy dishes that you’ll want on your dinner table ASAP! Which one would you make first? Add olive oil to a saute pan and turn heat to medium. Add red bell pepper and onion and cook until onion is translucent. Add garlic and cook for another minute. Remove from heat and add to a mixing bowl. Add olives, corn, and shredded chicken. Toss to combine. Place one tortilla on the saute pan, top with a quarter of the vegetable and chicken mixture, some of the minced chipotle and a quarter of the cheese. Sprinkle with cilantro if desired. Top with second tortilla and cook over medium heat until the cheese starts to melt. Carefully flip and cook until filling is hot and tortilla is browned. Cut into quarters to serve. Pass with with sour cream, salsa, or guacamole if desired. 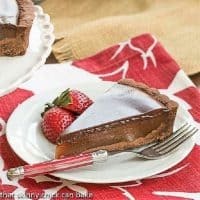 A comforting and delicious weekend meal! 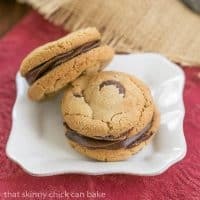 These would be devoured in 2 seconds here we all love them! they look delicious! Sure sounds good! I individually freeze the chipotles so that when a craving hits… I’m good to go:@) The lemon risotto sounds good too! I love anything that uses leftover chicken and includes cheese! Yum! A tasty way to use some leftover chicken. I used to have quesedillas more often as they’re so quick and easy – must get back in the habit! 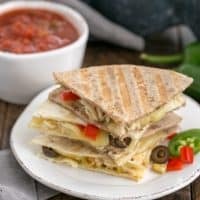 Quesadillas are always a cheesy delicious recipe. I love the chipotle flavor in these! When I was a kid I could not get enough quesadillas. I can’t remember the last time I had one and I seriously need to change that. OK so I have not had dinner yet so….I am coming over 🙂 Looks so good, I always forget to make quesadillas sometimes. I love quesadillas. Every which way. The cheesier the better! 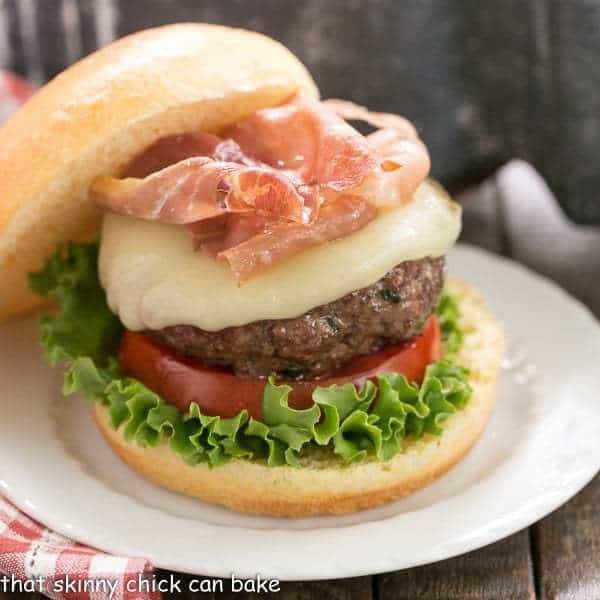 I love all the ingredients you’ve used here, especially the cheese! I’m sure these are packed with flavor! My family loves quesadillas. 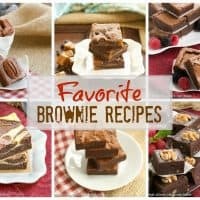 This recipe sounds yummy! You can’t go wrong with this one and I love how easy it all comes together. That’s why I love quesadillas – “there are no rules”. 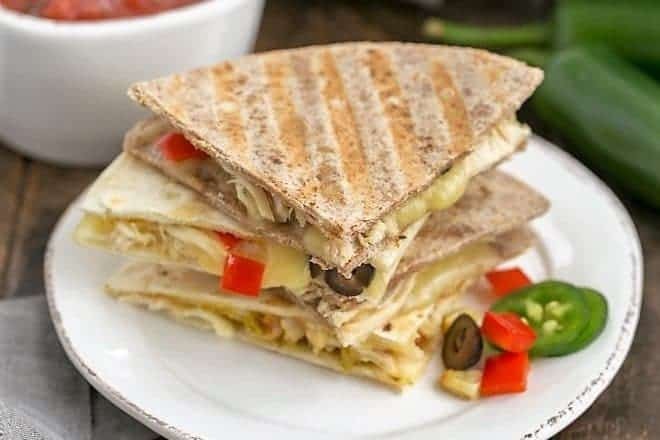 🙂 Great quesadillas! Love the chipotle of course, but the addition of corn is nice.